I have searched high and low for these Pringles Pigs in Blankets but it wasn’t until I was on mission festive sarnie at Waitrose, that I spotted the last tube looking all lonely on the shelf. Being the kind person that I am I couldn’t let these Pringles be on their lonesome anymore, so in my basket they went. Pringles are a right of passage when it comes to the festivities in our house, so naturally it is only right that Pringles release a festive version. The packaging is slightly festive however I feel they could have gone a bit further than a red tube and Pringle topped with a sausage wrapped in bacon that’s encased in a bauble. These Pringles are Chipolata and Bacon flavoured and popping open the lid you certainly get a whiff of this. 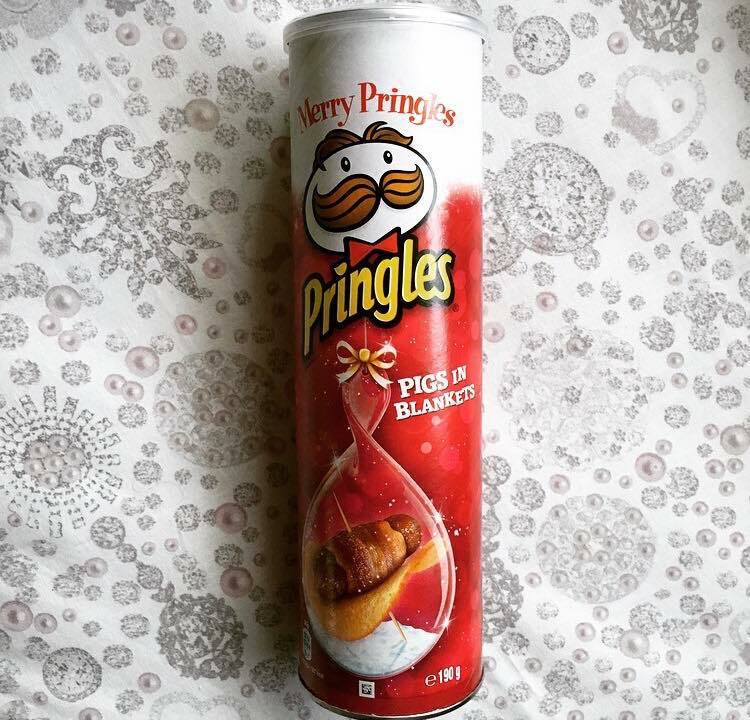 Each Pringle is pale in colour with a darker covering from the chipolata and bacon flavouring; I am rather intrigued as to how they are going to convey sausage and crispy bacon in just a dusting of flavouring, so with that thought it’s time to get munching. 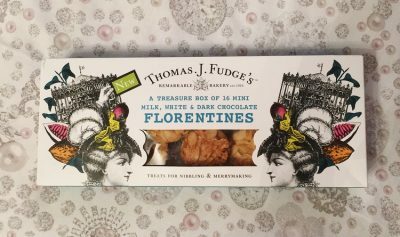 They are indeed very porky flavoured with just a hint of herb. Each Pringle is rather hit and miss in flavouring, some pack a porky punch but some are just plain old potato. After having quite a few I came to the conclusion that these really aren’t Pigs in Blankets, and in actual fact taste like Smokey Bacon. 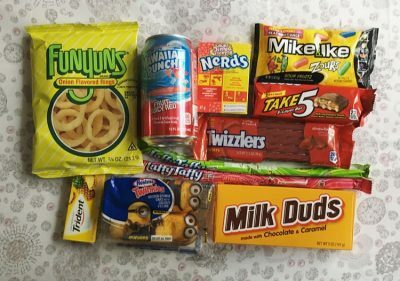 If I hadn’t know what I was snacking on I would never have guessed Pigs in Blankets. 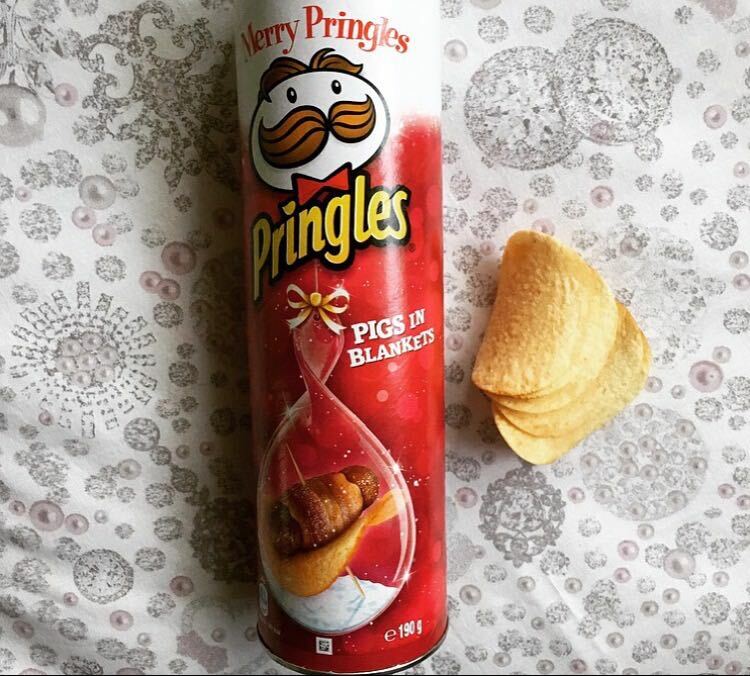 The concept is golden, and don’t get me wrong these are still as moreish as you expect from Pringles, once you pop you just can’t stop and all that, however you just can’t transform a Pig in Blanket into a crisp. If you are umming and arrring over Pringles Pigs in Blankets I would opt for the real deal because these crispy numbers just don’t hit the spot.